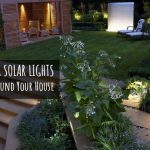 Outdoor solar lights are a great choice for decorating your landscaping, and not only they’re cost efficient, but they’re also more versatile, giving you the chance to get highly creative when decorating. No matter how much you payed for them, you still have to take into consideration some maintenance tips you need to follow in order to keep them efficient and long lasting. Obviously enough, the more you’re paying for your solar lights, the more you can expect in terms of quality of the materials, performance in low temperatures and overall durability. But this doesn’t mean you should be ignorant about the things you can do in order to keep them well functioning for a good amount of time. The solar garden lights only need power from the solar panels and one or more rechargeable batteries. Thanks to the PV effect, the solar panels give electricity from sunlight, charging the batteries during the day. As it gets dark, the energy stored in the batteries powers the LED light. Solar lights aren’t ready to use right out of the box and you need to give them some time until they fully charge. This means you need to be patient and allow them like 5 to 10 cycles (they charge at day and discharge throughout the night) until the battery charges to its maximum capacity. Once the battery does that, you may expect for the lights to run at least for 8 hours in dark, until sun is rising. Many solar garden lights come with built-in solar panels. 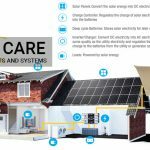 Even though solar panels performance depends a lot on the geographic location and weather conditions, there are some things you can do to improve your lights’ performance. 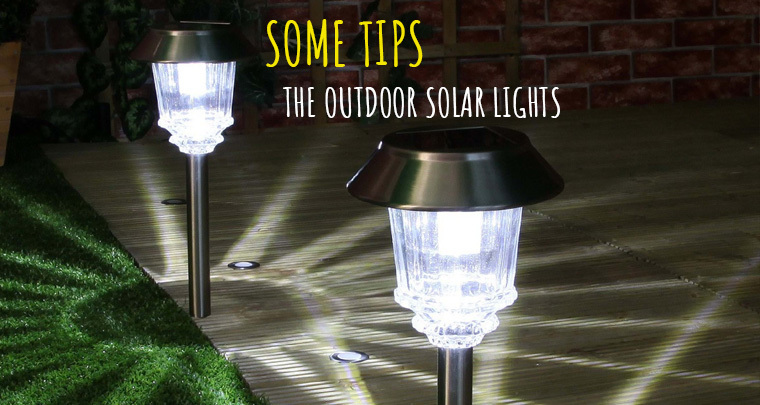 It’s essential for the solar lights to be places in an outdoor space where the solar panels may get 6-8 hours of direct sunlight during the day. Keep an eye on all the trees, walls, roofs that may shade your solar panels, thus decreasing the output during the day. The panel tilt angle is also important and you can get security solar lights, solar power spotlights that are adjustable, in order to get the best sun exposure. Just to give you a clue, the panel’s tilt angle around United States should be somewhere around 30degree in summer and 45 degrees in winter. The panels should also face South, it it’s possible. If you installed solar garden lights with automatic feature (this means they have a light sensor that detects surrounding light), things are quite easy. The lights turn on once the light levels are below a value in the sensor’s memory, turning automatically off in the morning, when sun is rising. For the sensor to work precisely, you need it to be sited right. So you have to make sure that your device isn’t installed near any night-time light sources (porch lighting, street lighting) as the solar light sensor is going to activate, even if the ambient light is artificial. The high powered porch/street light may decrease the sensitivity of your solar light sensor and even eliminate your solar light’s ability to automatically activate. How to clean your solar lights? Some may think it’s very easy to do it, but it’s important to play by the rules in order to keep your solar lights well and functioning for a long time. Take a look at the instructions of your solar light in order to dissemble it right. This way you get access to the solar panel for cleaning. Keep in mind to be gentler while doing it as parts may be quite delicate. Once your solar battery is dissembled, you need to see where the solar battery is placed. Continue by removing it from the light fixture so you can clean it well. Double check for any signs of oxidation (it’s a compound with a specific ashy color) where cell pack and plastic make contact. In case of oxidation, use a small soft brush for cleaning. The oxidation is typically dry so you shouldn’t have any problem to brush it off nice and easy. Don’t be superficial and clean the areas of contact with the light fixture. In case you have the battery for more than a year and you’re not satisfied with its performance anymore, it’s better to simply replace it, especially if it still doesn’t work well after you cleaned it from the oxidation. the solar panel has also to be clean, since it’s the only source of energy for your light. You may want to do this once a month. You may use a damp lint-free cloth for carefully wiping down the collector panel. You need to remove all dirt, dust or grime that build up in time. As you’re using the lights in the outdoors, dirt, dust and bugs may easily build up on top of the panel. The solar panel has to be always clean so wiping it carefully from time to time is essential. Be careful not to brush the panel down though as it’s quite fragile. You may end with wiping the panel with a dry cloth. Once you cleaned the panel you may go on with the outer shell of your solar garden lights. You may use a damp cloth for wiping it, but you can very well wash them in a sink if they’re made with plastic or glass. You need to dry them out carefully before putting them back together. When your lights are cleaned inside-out, you should go over the instructions and put them back together. You may have your solar outdoor lights for a long time as long as you’re taking care of them and their parts. For instance, you should replace the batteries every two years so that they perform at maximum capacity. If you’re leaving in an area with extreme weather conditions, it’s wiser to change the battery every single year. You must fully discharge and charge every now and then your solar unit if you’re storing it for a longer period. If not, it’s better to remove the batteries and replace them when you want to use again the lights. Better yet, play it safe and try not to ever store your solar lights for prolonged period.